Total of 50 stages! Don’t forget the additional bonus stages and Arcade Mode, too. 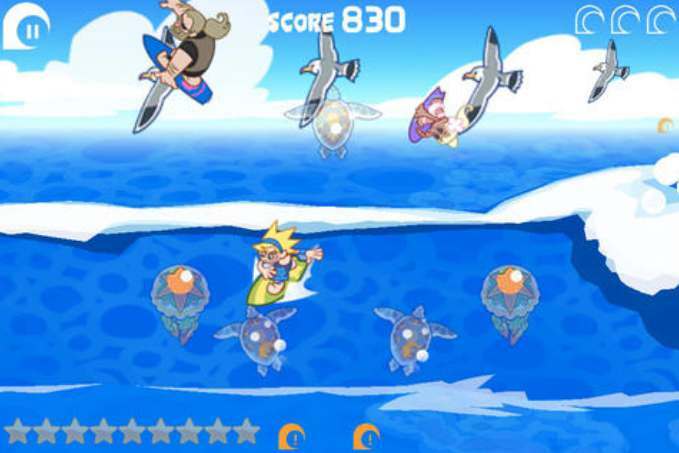 Let’s surf a wave with the surfing crowd and the board-riding dog, Skip, while getting help from three mermaid sisters and Hiso Alien, who provides valuable bonuses. ** Featured by Apple (USA) – New & Noteworthy.